St Brothen’s was vested in the care of the Friends in 2002. 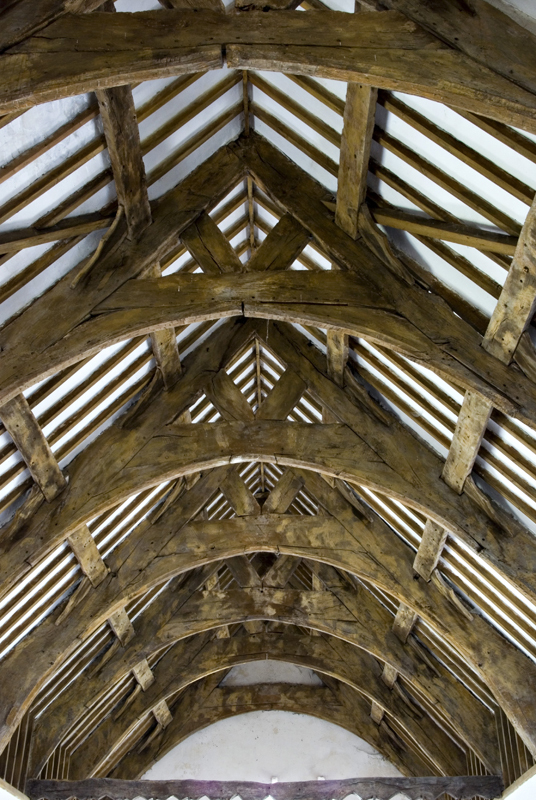 The site was first used by St Brothen in the late sixth century and this charming, late-medieval single-cell building has a gently sloping interior, dominated by its medieval arch-braced roof with cusped wind braces. It has notable woodwork including balustraded chancel stalls and nine-bay screen (which like so many others has lost its rood loft). The church retains two fonts, one with an octagonal, conical, oak cover which is late 15th century. It also has some good quality recent slate memorials. St Brothen’s has two notable historic connections – the first with an ambitious young lawyer called David Lloyd George who in 1888 championed the right of a poor quarryman, Robert Roberts, to a Non-conformist burial next to his daughter at Llanfrothen. This film clip from the life of David Lloyd George, made in 1918, tells the story. And the second in more recent history, as the church was well known to, and loved by, Clough Williams-Ellis– whose ancestor J. Williams-Ellis of Brondanw gave the church a paten in 1844 and a chalice in 1859, both made in London. Despite this connection, in 1979 locals objected to a memorial to Clough being erected at the church on the grounds that he was agnostic – and the memorial was erected at Portmeirion instead, although his ashes were scattered in the grounds of Plas Brondanw, his home of 70 years, which lies in the parish.